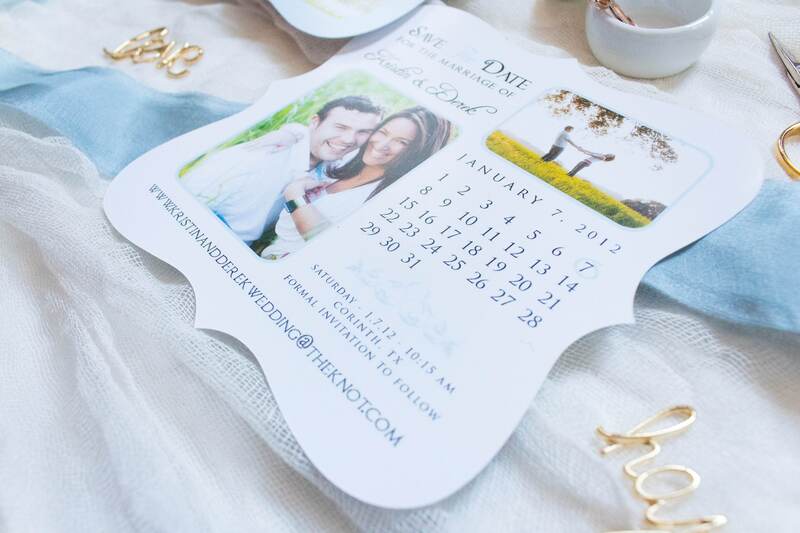 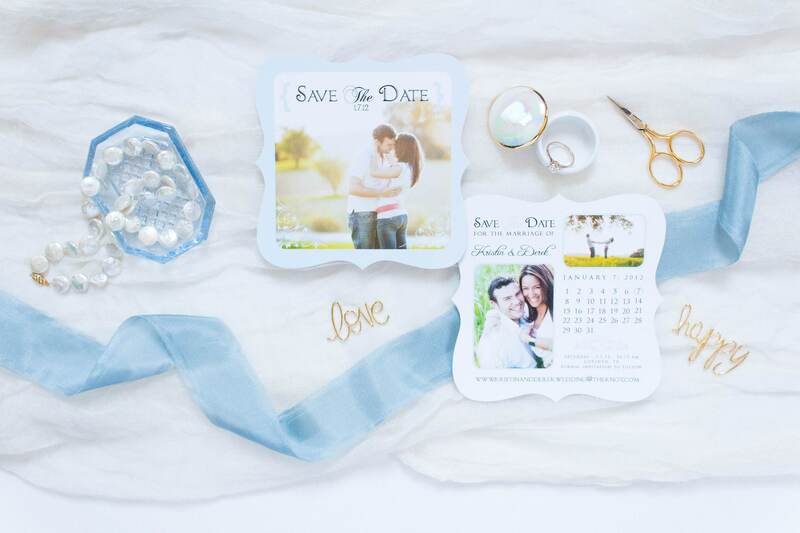 Die Cut Save the Date in Light Blue and Featuring Multiple Photos & Calendar, Includes Envelopes — Other Color Options! 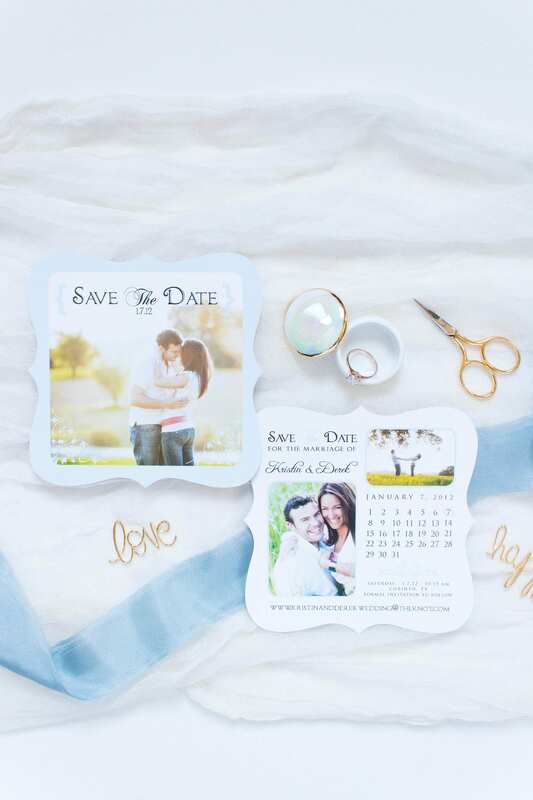 This cute and elegant die cut save the date features a full photo on the front, a calendar and photos on the back. 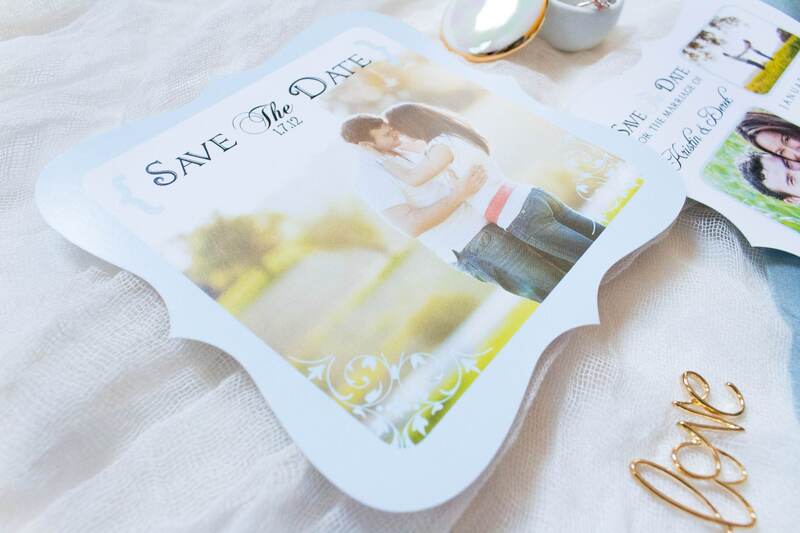 Sample shown on standard semi-gloss cards stock.